I first started to take photographs when black and white film was mainstream, built in exposure meters were unheard of and most amateur photographers relied on the piece of paper in the film box for guidance in setting aperture and shutter speed. By today's standards the technology was very restrictive and quite costly but its very limitations taught us a lot about the art of photography. Working in black and white you had to learn to "see" tonal range and visualise your end product in shades of grey although the image in your camera viewfinder was in full colour. 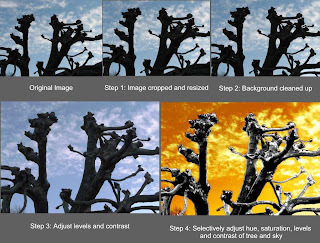 You needed to develop a feel for the average luminance of your scene so that you could select appropriate camera exposure settings. Film was costly as was processing and printing the pictures; make too many mistakes and an exciting hobby became a costly burden. Later, as sophisticated cameras became more affordable due to a combination of Japanese competition in the market place and a rising income I was able to work in colour and to experiment with doing some of my own developing and printing. The ability to crop the image, exercise some control over the tonal range and even combine and manipulate images in a darkroom opened up new creative opportunities. Creativity no longer ended the moment you pressed the shutter button. Today, very affordable digital cameras with sophisticated automatic exposure control and long-range zoom lenses make capturing a technically high quality image very simple. Reusable image storage media mean that mistakes may be discarded without any real cost. Experimenting is effectively free and, post processing of the recorded images using a whole host of readily available software is relatively easy. It does not require the huge outlay previously necessary to acquire a lightproof room, equip it with developing tanks, chemicals and an enlarger. And yet, to produce worthwhile work still takes talent and a big investment - an investment in time. we are glad you enjoyed the visit and will definitely go take a look at your blog.